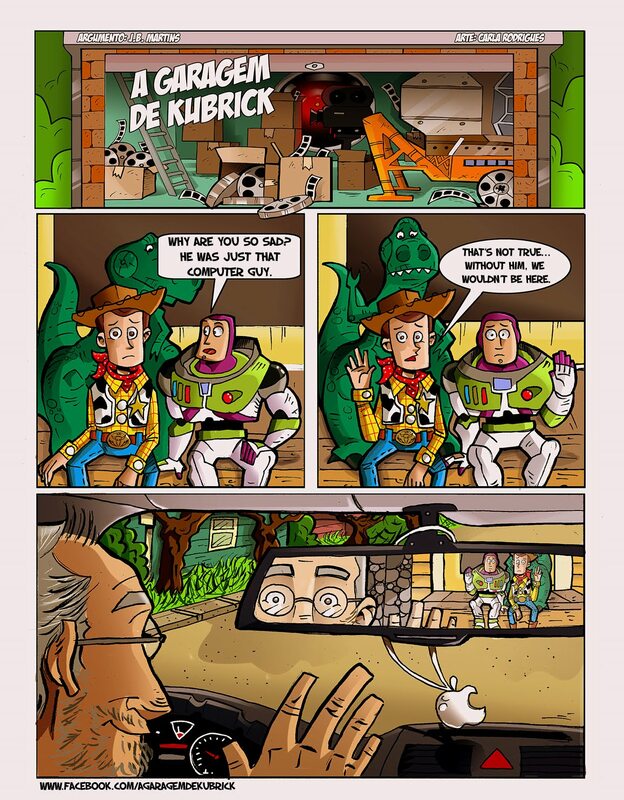 The Art of Carla Rodrigues: A Garagem de Kubrick - So long, partner. 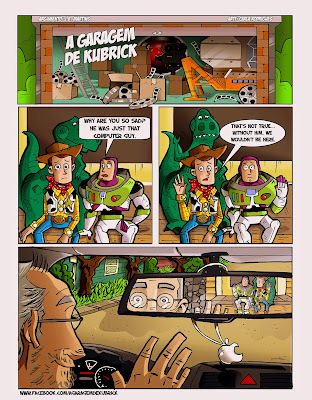 On the most recent page of our webcomic, A Garagem de Kubrick (or, in english, Kubrick’s Garage), me and J.B. Martins (my friend and writer of said webcomic) decided to pay a little homage to Steve Jobs. I translated the page for you guys, so go ahead and check it out.